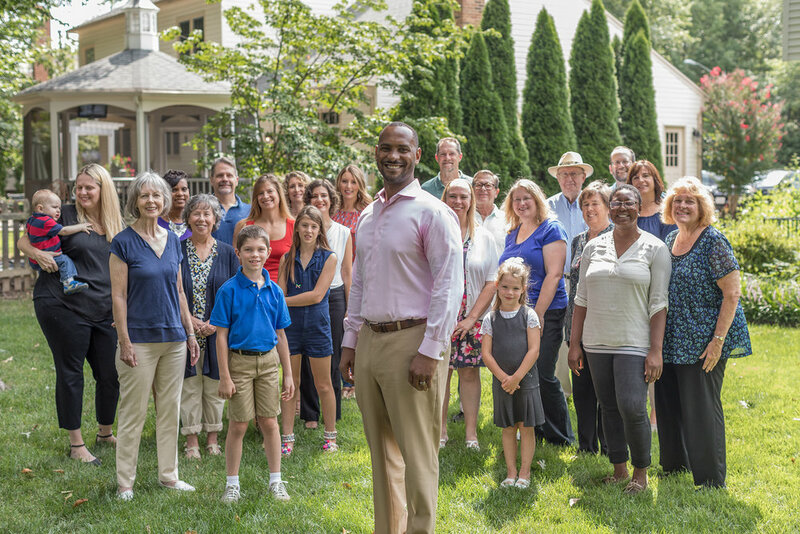 Donte is a husband, father, Air Force veteran, and small business owner here in Northern Virginia. Donte grew up in a family dedicated to public service. His dad served in the Navy, and later in the police force alongside Donte’s mom. His parent’s dedication to serving their country and community inspired Donte to do the same. A product of Newport News public schools, Donte was accepted into the United States Air Force Academy in 1997. Donte rose through the ranks and became an Air Force Captain at the age of 25, where he served for four years, leading a team working on Space and Missile systems. During this time, Donte worked to make the military more efficient by delivering projects on time and under budget. After leaving the Air Force, Donte felt a responsibility to continue to serve his country as a private citizen. For the past decade, Donte has worked as a government contractor. Recently, Donte decided to settle down right here in the 40th district and start his own small business, which he founded in 2015. We need new leadership in the 40th District. Donte Tanner is running because he wants to continue serving his community, and will work to hold Richmond more accountable and make our local government work better for its citizens. Donte lives in Centreville with his wife Dana and his daughter, Evelyn.